Enter your details below to find out more about sonnenCity! Sonnen has been commissioned to provide 3,000 homes with sonnenBatterie in a new community in Prescott Valley (Arizona). sonnenCity takes the sonnenCommunity system, and expands the reach to covering an entire city! Participants in sonnenCommunity are required to have a sonnenBatterie and an appropriately sized solar system that will typically fill the battery completely and provide some excess on sunny days. Under the sonnenCommunity system, you’ll typically completely cover your own energy needs on sunny days. The sonnenBatterie and an appropriately sized solar system, you’ll generally generate a surplus. The surplus is then fed into a virtual energy pool that serves other members when they can not produce enough energy for whatever reason, eg, bad weather. You’re still linked to the conventional power grid so there’s no risk of your power ever going out. A central software links up and monitors all the participants in sonnenCommunity, balancing energy supply and demand. This sort of setup for an entire city allows the city to be less prone to power outages and can even potentially provide power to the grid if needed in times of emergencies, the city of 3000 acting as a virtual power station of 13MWh! A new city is being built in the US state of Arizona, where 3,000 homes will produce, store, and share their own power. In doing so, the German company has undertaken what is currently the biggest residential power storage project in the USA. 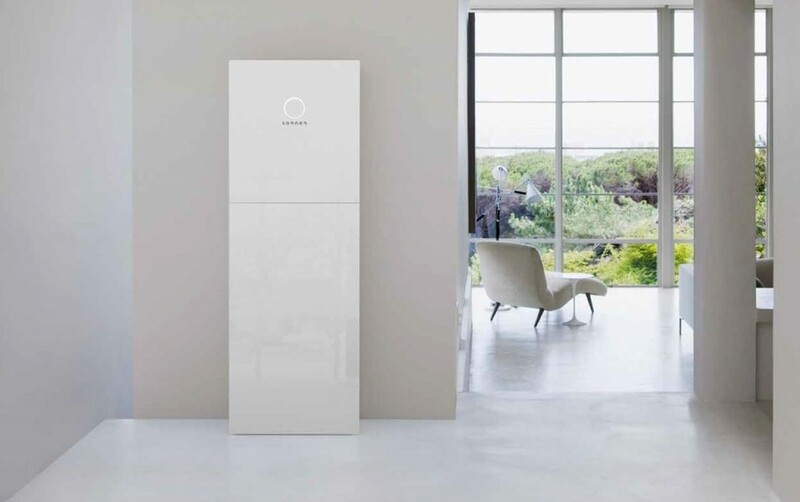 Wildpoldsried, 13 October 2017 – sonnen is installing its sonnenBatterie energy storage solution in 3,000 new homes in the US state of Arizona. This is part of the new concept by home builder and urban planner Mandalay Homes, which is building a new community in Prescott Valley in the US state of Arizona. A photovoltaic system and a sonnenBatterie will be installed in all homes in Jasper, enabling every household to produce most of the electricity it consumes by itself. This will keep the power bill of each home very low from the outset. The energy storage systems will also be interconnected and able to communicate with each other. This technology, which is already used for power sharing in the sonnenCommunity in Germany, will make it possible to create a virtual power plant with a capacity of 23 MWh and output of 11.6 MW. This large buffer can store energy during peak production times and then feed it back into the grid later when consumption is very high. In return, the sonnen-City will also be able to contribute to the public power grid. ‘This is the city of the future, a place where all residents produce, store and share their own energy. The fact that we were able to realise this project in Tesla’s home market territory demonstrates how we are surpassing Tesla when it comes to technology in America’s energy sector,’ says Philipp Schröder, Managing Director of Sales and Marketing at sonnen. The sonnenBatteries also interact with a smart home controller to store solar power as well as distribute it with precision to each home’s air conditioning systems, lighting, and other power consumers such as pool pumps. Until now, the sonnenCommunity’s technology was limited to Europe and Australia. Now, for the first time, sonnen has developed a technology solution – and done so even without its own energy supplier’s license, as the American energy market is highly monopolized. sonnen uses its technology only on the property of the city and not on the side of the public grid, thereby circumventing the monopoly of the power companies. Thanks to the decentralised supply structure, the new town of Jasper is also less susceptible to power outages. Because all homes can supply themselves with energy, they can even bridge long outages in the public grid, for example during natural disasters.